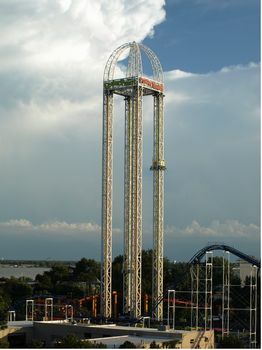 Power Tower is a drop ride in Gemini Midway at Cedar Point. It's worth seeing on a time-permitting basis. The minimum height to ride is 52 inches. Four towers either blast you up (Red) or Down (Blue) 240 feet.